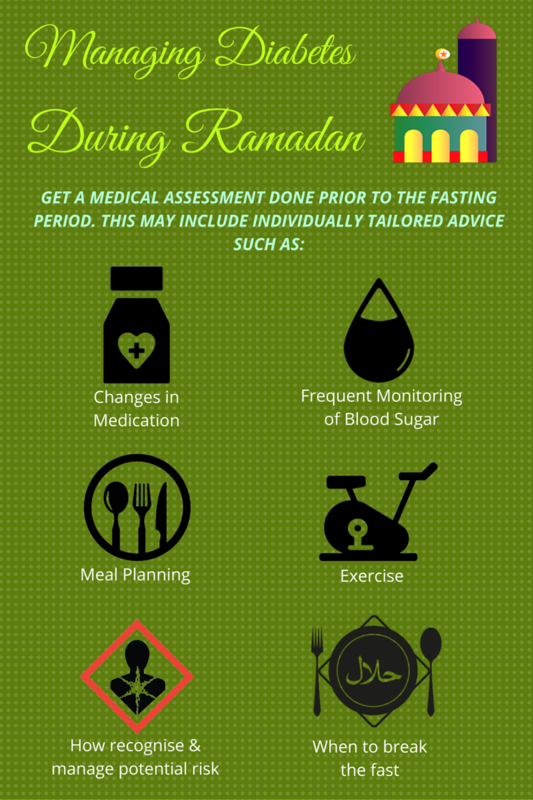 WHY RAMADAN IS A CHALLENGING MONTH FOR PEOPLE WITH DIABETES? 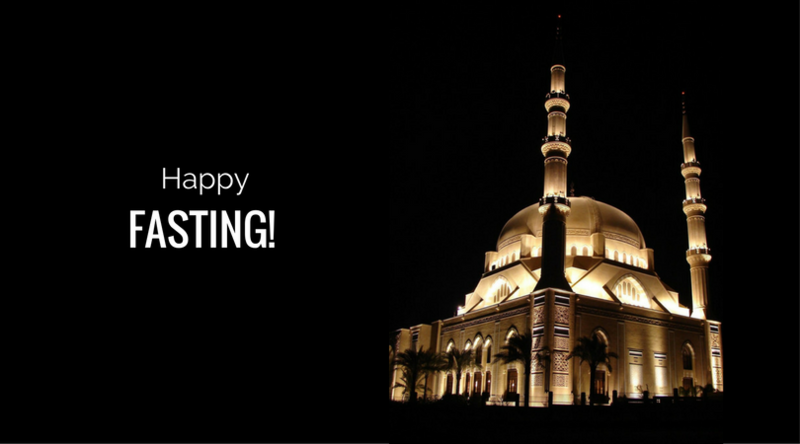 Fasting during the holy month of Ramadan is an obligatory duty for all healthy adult Muslims. Estimates suggest more than 50 million Muslims with diabetes fast during Ramadan. 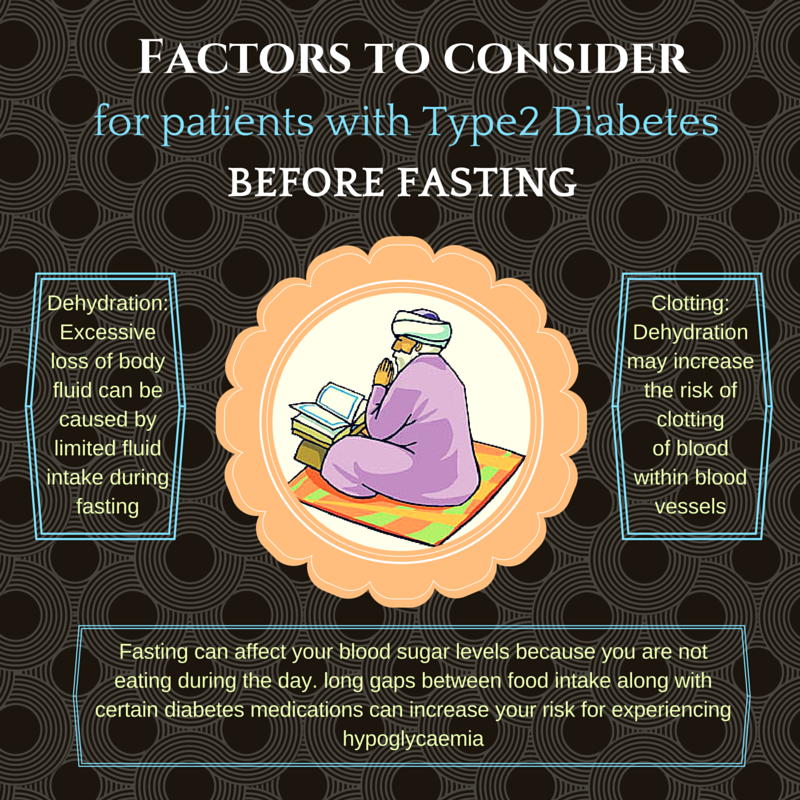 But, few are familiar with the medical ramifications of fasting among patients with diabetes. People with diabetes, who fast during the holy month, would often find it difficult to keep their blood sugar level under control. Long gaps between meals can cause significant changes to the blood sugar levels. Frequent blood glucose spikes do have a negative effect on their health. Yet, some people with diabetes wish to observe Ramadan by fasting. This poses a medical challenge not only for themselves but for their care givers as well. 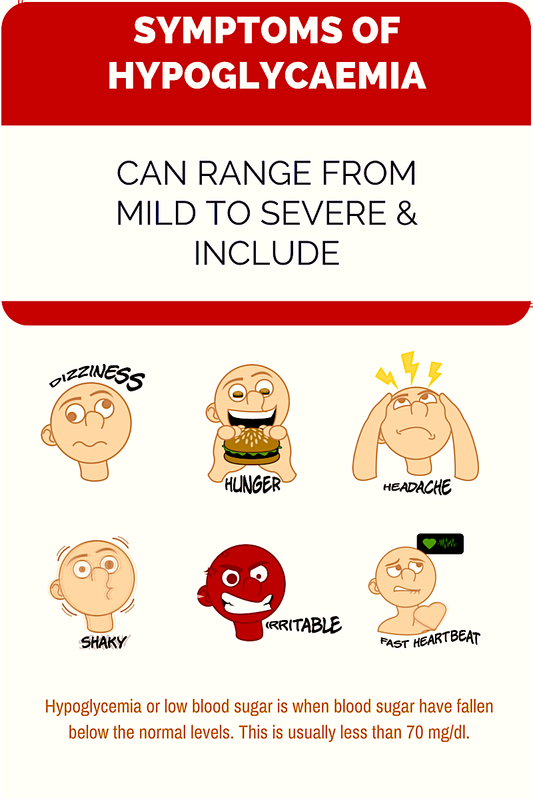 When you have the following symptoms check your blood sugar - feeling confused, dizzy, disoriented or shaky. 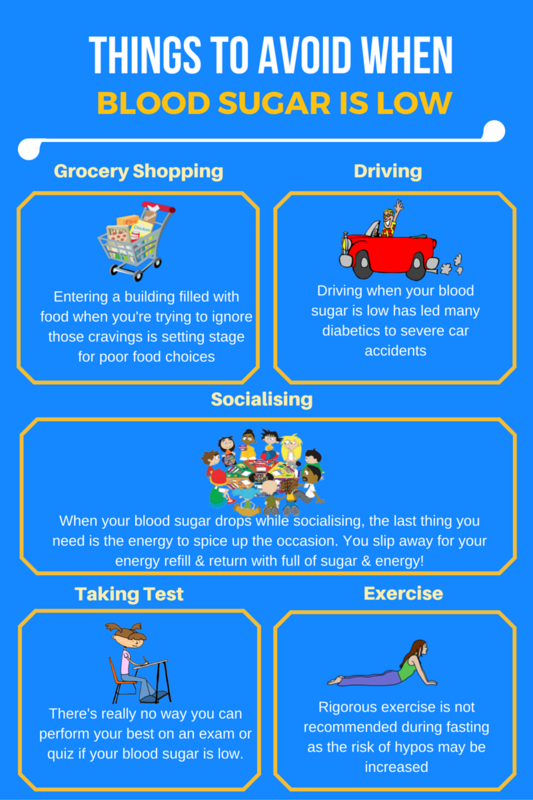 You could be having low blood sugar levels. If your blood sugar drop below 70mg/dL, it is advisable to break the fast. If your blood sugar levels are above 300 mg/dL, seek medical attention. Follow treatment guidelines as prescribed no matter your blood sugar is high or too low, they are very important. Your doctor may make some changes to your medication regimen as per your fasting schedule. However, when whole grain preparations are consumed in combination with high fibre vegetables along with moderate, sensible servings of protein, the pre-dawn meal is unlikely to contribute to poorly balanced blood glucose levels. How fasting can impact your body? Usually, your body enters into fasting state around 8 hours after the last meal. Initially, your body makes use of stored sources of glucose; if you take insulin or certain other medications, it can increase the risk of hypoglycaemia. This may cause some difficulties in maintaining your blood glucose levels. Later on in the fast your body will break down fat as source of energy. It may be a good idea to do fasting a couple of days in the month before Ramadan to see if you are able to fast without any complications. Therefore, fasting during Ramadan especially among patients with poor glycemic control, is associated with multiple risks. Fortunately, efforts are being made to create more awareness on this subject, but with increased focus more can be done for sure.